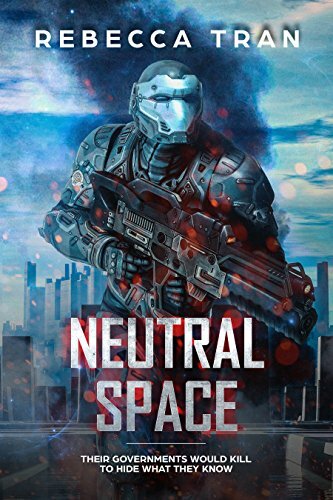 Neutral Space, written by Rebecca Tran, is a story told through the eyes of Jackson Eli Peterson; a man raised on a planet in the Sirus Seven. The Sirus Seven are planets named after the seven deadly sins in the Bible and were the catalyst for the war between the Kelsairans and humans. Jackson has a chance encounter with a beautiful Kelsairan woman which changes both their perspectives on the government and war. They soon realise that they may not have been told the truth about the opposition and its race, leaving them both to make decisions that will change their lives forever. A trial will begin, and secrets will be revealed in an epic futuristic tale where exposing the truth will have you killed. Neutral Space is set in the year 3006, in a world where intergalactic races have intermingled with humans. Technology and territory were shared, but like most trade agreements, alliances were broken causing an unruly war between Kelsairans and humans. Corrupt governments and evil agendas will mean that the characters may not all be who they seem. Allies will be formed, and friendships will be created, regardless of the race. Through the new found friendships, the authority will be questioned- and betrayed- to save the people they care about the most. I loved how the novel incorporated futuristic ideas such as new races, advanced technology and ideas while still implementing familiar scenarios such as court scenes, jails and friendship. There’s even cultural food such as Italian and Chinese that are twisted into the plotline, giving the story an almost realistic feel. With human governments still participating in dodgy deals and corrupt politics, you can practically imagine the future in the 3000’s being very similar to what you find in Neutral Space. Between the battles of war lies a love story that will have you eager to learn how it all ends. Rebecca Tran writes with a momentum that fills the pages with layers of action, romance and intergalactic adventures. The story was easy to read, but the characters were complex, with parts of their past being told as the plot line progressed. Rebecca Tran cleverly transcribes the character progression in a way that makes you feel attached and invested in the outcomes of their lives. The story switches between past and present and Jackson recounts his encounter with the Kelsairan woman. This builds up the relationship and gives the reader an insight into the minds of both races. There were many parallels to how today’s society may have felt during a time of war with other countries, especially regarding the unspoken political agendas. An element of family is also present in Neutral Space as it hints at the everlasting values of humans and their desire to protect and create a family of their own. I would recommend this to anyone who enjoys futuristic style novels with action, friendship and a dash of politics. After reading Brady Stefani’s The Alienation of Courtney Hoffman you will find yourself questioning everything you ever thought was real. The story follows Courtney Hoffman, a fifteen-year-old girl who has undergone a trauma in her youth. For the eight years since her grandfather purportedly tried to kill her Courtney has suffered with strange dreams and apparent delusions of aliens standing over her bed while a strange apparition of a girl haunts her waking hours. Her mother definitely doesn’t win any awards as she dismisses her daughter’s plight with coldness and distaste. Courtney finds herself wrapped up in an event that will change the very universe in which she lives and sets out uncovering the truth of her past with unlikely friends. It becomes a fine line for Courtney, trying to separate the illusions from reality and she most certainly has to go about it the hard way. For a young adult writer Stefani certainly knows his audience. Written in an easy-to-read way his tale is easily digested without seeming juvenile or mundane. While the page count is quite high the reader will find that it’s not a difficult read. Stefani writes in a way that any person, young or old, will be able to identify with. This novel touches on different views of what is mentally healthy and it’s clear that that Stefani did his research. While the average person might have to use the internet to find out information, Stefani writes in a way that makes the reader believe he truly understands the aspects of the human mind. Our minds can be dangerous and difficult. It can be said that the human mind undergoes a great transformation during our teenage years. The fact remains that many young adults will have their first brush with suffering a mental break at this age. Stefani uses this to his advantage and keep the reader guessing about the stability of Courtney’s mind. It’s evident that Courtney needs help. She is suffering and she is confused. The one person who she could have connected with is dead. Her parents are divorced and her father, while seemingly nice, doesn’t seem to have time to spare on his daughter. Her mother, on the other hand, does not have her daughter’s best interests at heart. It’s written in such a gripping fashion that readers will undoubtedly recognize certain dismissive behavior that the mother displays in other adults. It’s an ugly world out there and our protagonist is not spared this. Where many young adult stories have protagonists living in a seemingly perfect world where they learn they are special, Courtney comes from a fractured world very much like the one we all live in. This makes her special status that much more gratifying. 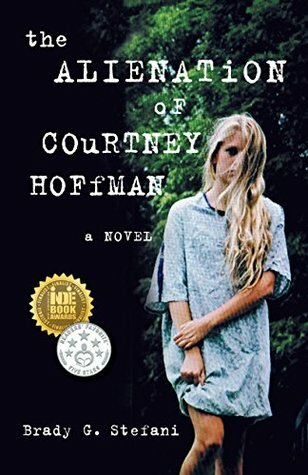 The Alienation of Courtney Hoffman is a delightful read and can stand alone very well. The ending leaves the universe open for other books, with or without Courtney, but it also wraps up in such a fashion that if no other books were to follow, the reader is still satisfied. Stefani is a genius that is not often seen any more. 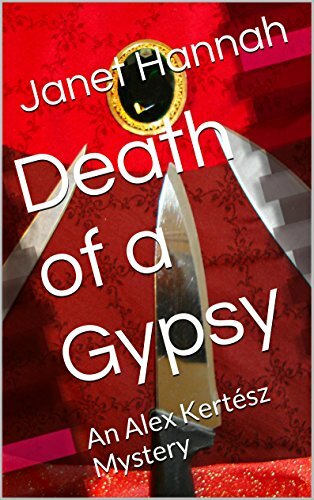 Death of a Gypsy provides a powerful look into the world of Alex, a man on a mission across the continent to find a friend of the family. Throughout the journey, the reader is treated to a wonderful mystery about Zoli’s whereabouts and a rich and vibrant backstory. How did the mystery develop for this story? Did you plan it before writing or did it develop organically? You ask about the development of the mystery, and then about the characters and the setting. Actually, the characters and the setting came first. The characters were introduced in the first book in the series, The Wish to Kill, in order to talk about extra-sensory perception and the power of thought. Alex came first. I decided to make my protagonist a man so that I wouldn’t fall into the trap of starting to write about myself. I made him good looking because I doubted that my writing skills were good enough to make him interesting and attractive without a little help. Why is he Hungarian? Because I feel a special affinity for all things Hungarian. I have amazed several Hungarians by speaking Hungarian even though I have no actual connection with the country. I speak it badly, but it’s as if the cat started to talk – the point isn’t how well she does it, but that she does it at all. In Death of a Gypsy the characters travel from Romania to Albania to look for the missing gypsy. What fascinates you about this area of the world enough to set your story in it? Albania is another country that made a special impression on me. There are some places and cultures that strike a chord more than others and it’s not always clear why, but I think that in the cases of Hungary, Albania, and Gypsies it starts with their beautiful folk songs and dances. I always knew that Sylvie’s grandmother was a Gypsy, and that provided the basis for the story in Death of a Gypsy. It was clear that the quest to find Zoli had to reach Albania and run into the unique archaic customs of the mountains, and the story developed in line with that. How do you think your writing has developed or grown since you published The Wish To Kill in 2002? I wrote The Wish to Kill to present everything I knew or could find out about a specific subject, in the hope that it would be useful to others interested in understanding some real but still unexplained phenomena. The book was bought by a publishing house (Soho Press), even though in my opinion the plot was a little patchy. I wrote the second book, Murder with a French Accent, because I had an idea for a better plot involving Alex. I think Murder with a French Accent had the best plot of the series, and I hope that if and when I decide that I have to send Alex to some other place that fascinates me, I’ll be able to do as well. For a microbiologist, Alex Kertész has led an adventurous life, fleeing from Budapest and the clutches of the Aveh, the Hungarian secret police, as a teenager, studying in Paris, and volunteering as a paratrooper in the Israeli army. Now married to Sylvie, his high school sweetheart, he’s looking forward to a family vacation in Paris. He’s forced to change his plans because the old Gypsy woman who is Sylvie’s much loved grandmother needs his help. She has just found her last living sibling and wants Alex to bring the old man to Paris to see her. Alex is the person best suited to this task, because the old man lives in Transylvania and speaks Hungarian. It’s questionable whether Alex is also suited to the task of rescuing the old man’s grandson who has disappeared in Albania, but until he knows that his grandson is safe, the old man isn’t going anywhere. Alex, his teenage son, an American schoolteacher, and two Gypsies travel from Romania to Albania to look for the missing man. One of the two Gypsies is the son of the man who’s missing. The other is the cousin who left him in danger.